In their meetings in July-August, Eastern Partnership Civil Society Forum (EaP CSF) Moldovan and Ukrainian National Platforms have jointly come against the planned expansion of existing hydroelectric power plants (HPPs), as well as construction of new ones in the two countries. In a first Joint Declaration of this kind (dated: 21 August), initiated by members of Working Group 3 “Environment, climate change and energy security”, both the Moldovan and Ukrainian side stress that the “construction of any further HPPs is unacceptable – on all its sections above the existing Dniester reservoir”. While plans to enlarge the Dnestrovsk Hydro-Energetic Complex (DHEC) are at the core of their opposition, the issue extends to smaller facilities too. “The last free-flowing rivers throughout the country are under threat of destruction”, we read in the Joint Declaration, here referring to Ukraine – where it has “ceased to be a problem for the Carpathian region only”. A worrying development is the lack of transparency in Moldova-Ukraine relations. 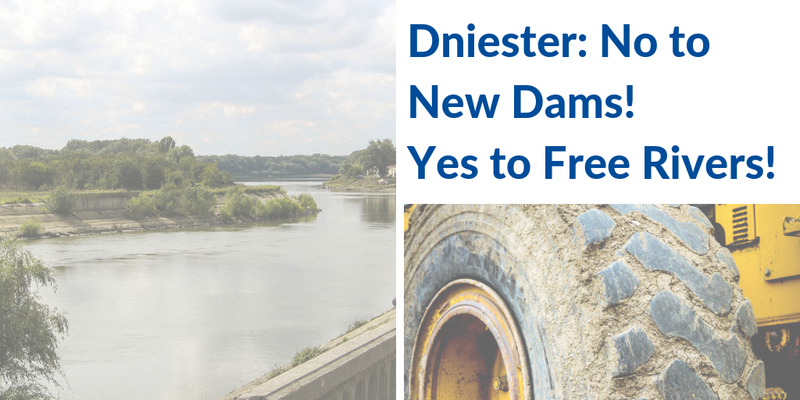 The authors call for greater civil society oversight, which could be facilitated by the Dniester River Commission. “We also call on the authorities to invite the EU and United Nations Economic Commission for Europe (UNECE), with a view of improving the future bilateral treaty”, we read. In any case, further expansion of HPPs cannot continue without a proper Environmental Impact Assessment. In this regard, the Declaration points to the ongoing study undertaken by United Nations Development Programme (UNDP) in Moldova, with the support of Swedish government. The recommendations put forward by the Declaration include a ban on new HPPs, which could only be built on existing, artificial hydrological facilities. The green tariff for small hydroelectric power stations should also be abolished. Apart from blatant loss of “natural, cultural and historical” sites, governance is really at the heart of this issue. “We insist on the respect of basic, internationally recognised principles of cooperation on transboundary waters, including the “polluter pays principle”, the equal access of different water users to water resources, as well as the use of transboundary waters in a sustainable, reasonable and equitable way”, sums up the Declaration.